The Corton hill is known since more than a thousand years for the quality of its soil and its perfect exposure. The Corton Grancey Grand Cru is a unique wine from the Latour House and only produced on the best years. It was created with the goal of honouring the House’s history. It is a blend of four Corton Grands Crus : Les Bressandes, Les Perrières, Les Grèves, and Le Clos du Roi. The wines are vinified and aged separately, then the best barrels are selected to produce the Corton Grancey. Grancey was the name of the last owners of the castle located in the Corton street before this building was bought by the Latour family in 1891. 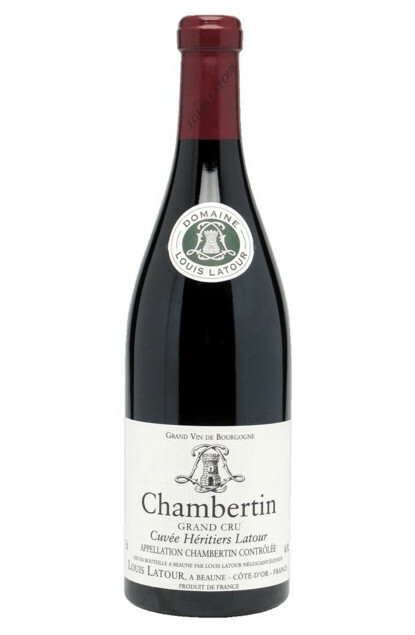 At the heart of a constellation of Grands Crus from Côte de Nuits is to be found Le Chambertin. The terroir of Chambertin is legendary for its exceptional richness due to a geological phenomenon called "alluvial fan”. This deeply complex terroir is characterized by brown calcareous soils. It breeds a powerful and complex wine with a long ageing potential, combining the robustness of Pinot Noir and the taste of the "terroir". At the end of the 19th century the Latour family acquired 0.81 hectares in the Chambertin Grand Cru appellation, forming a beautiful parcel extending from the top to the bottom of the hillside, closer to that of Latricières rather than Clos de Bèze. We took the name of Chambertin "Cuvée Héritiers Latour," as the parcel has been passed down through the generations of Latour family descendants.